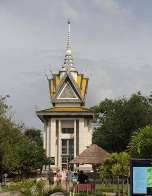 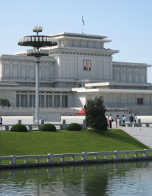 Kumsusan Memorial Palace in Pyongyang - final resting-place of North Korea's first two leaders, Kim Il-sung ("Great Leader") and, since December 2011, Kim Jong-il ("Dear Leader"). 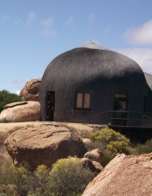 A mountain lodge at Naries Namakwa Lodge, Springbok, Northern Cape, South Africa - based on a wattle-framed bushman dwelling. 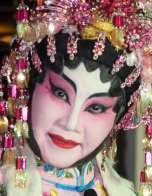 An elaborately adorned Cantonese opera singer from the Chinese Theatre Circle in Singapore. 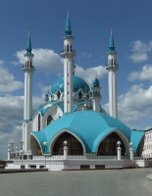 Qolşärif Mosque in Kazan, reputedly the largest mosque in Russia and the largest in Europe outside Istanbul.